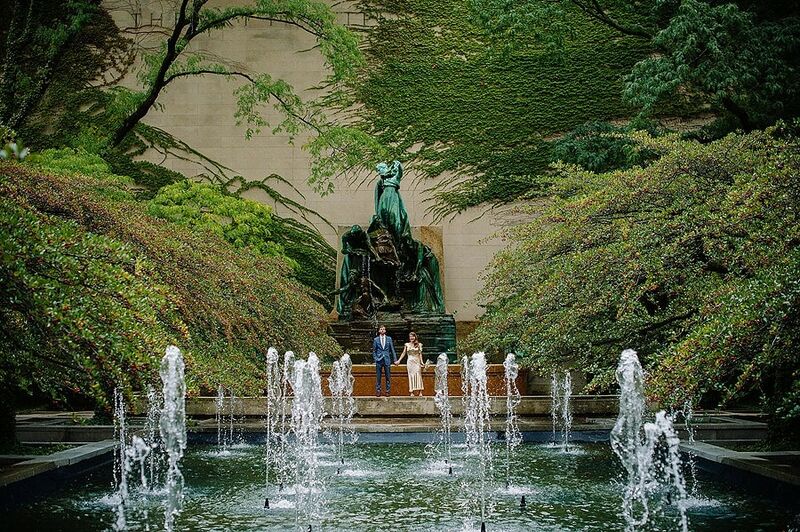 Get ready for one of the sweetest weddings of 2014! 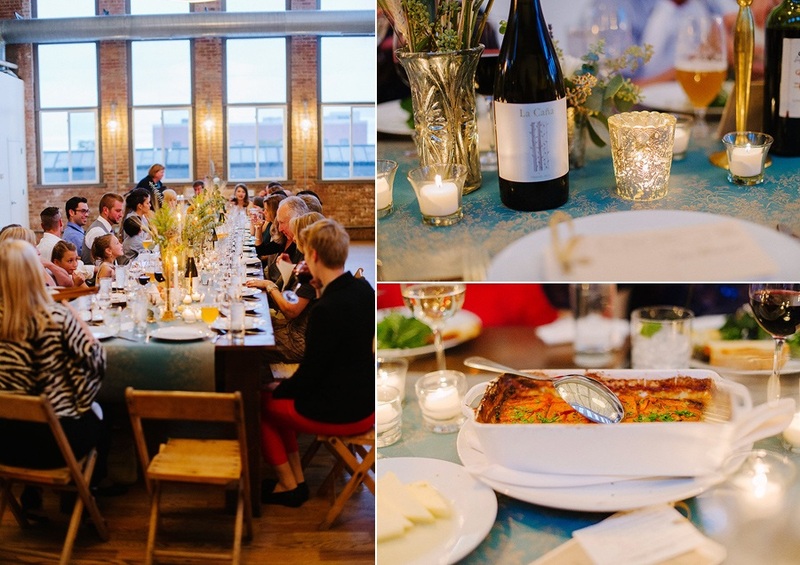 Erin + Kevin’s were married at Kitchen Chicago and the party was nothing short of amazing, full of an insane amount of DIY details, tons of delicious food, and plenty of loving sentiments and tears of joy. 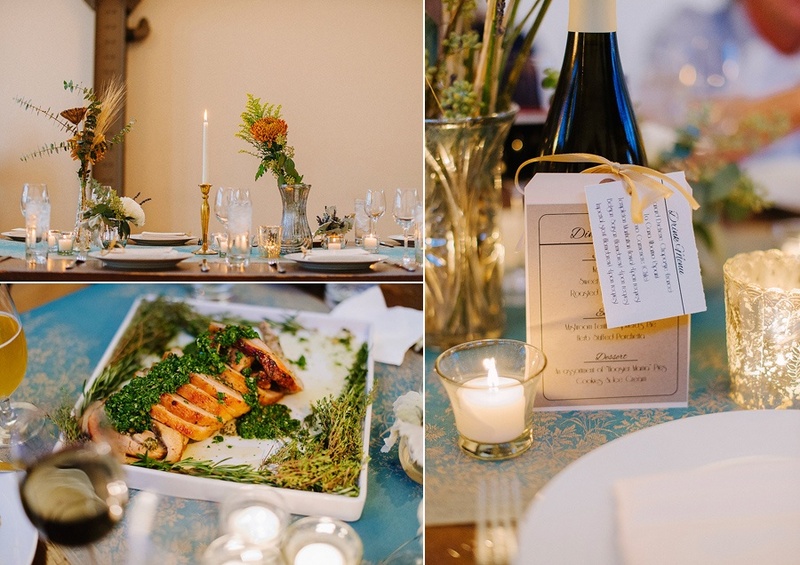 For the ceremony and reception, Erin collected vintage vases and filled them with floral arrangements she and her friends created. 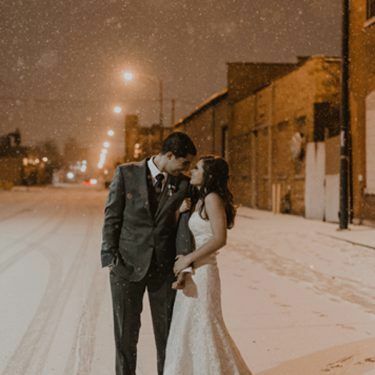 Their wedding ceremony at Kitchen Chicago was super personal: officiated by their dear friends, the ceremony was sweet, sentimental and heartfelt, always the best start to a great wedding day. 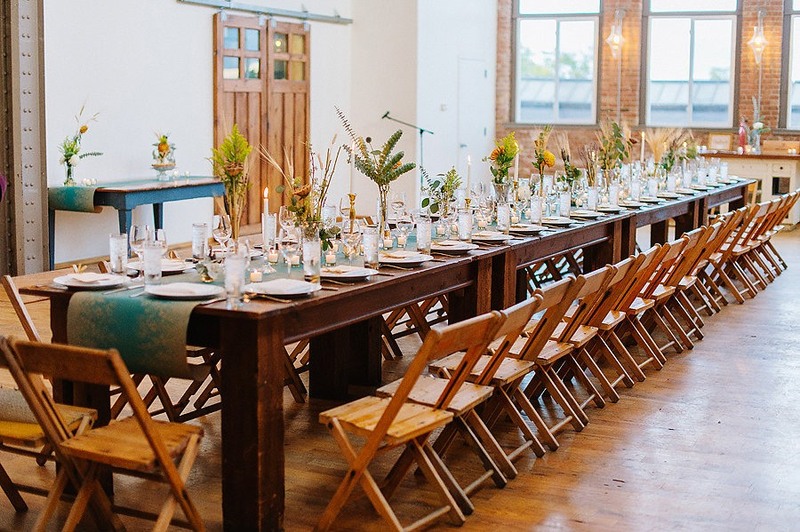 For the reception, Erin + Kevin wanted an intimate, small affair, so we lined up all of Kitchen Chicago ‘s rustic farm tables and created one big long table in the center of the room. 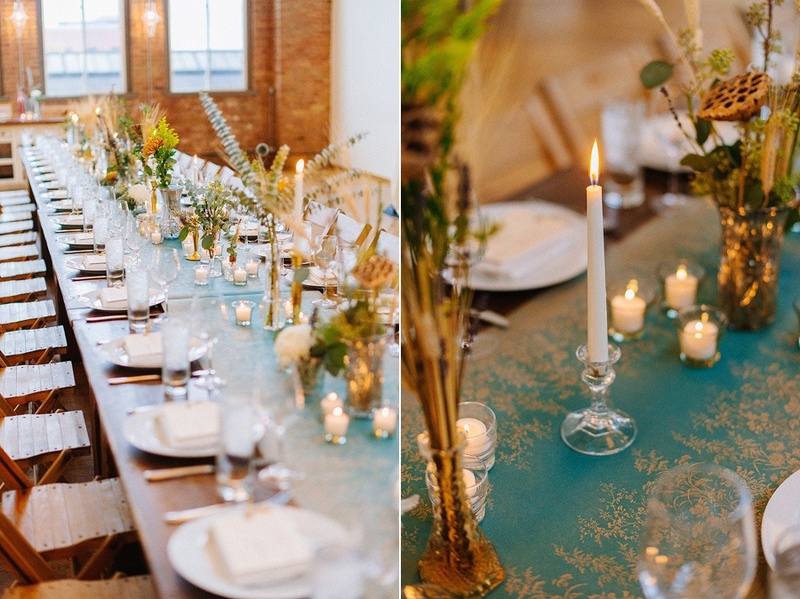 Lined with Erin’s handmade floral arrangements, candles, and gorgeous paper table runners, it looked amazing. 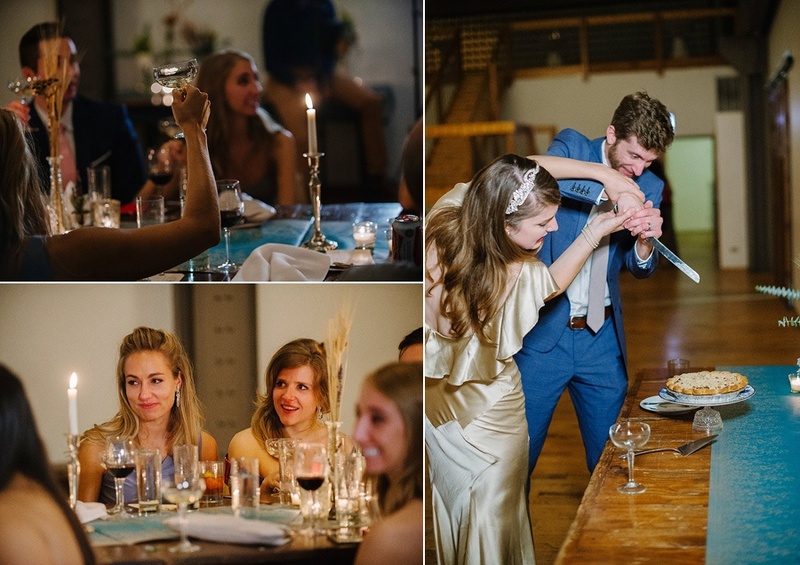 For dancing, we moved the tables out of the way while Erin changed into another gorgeous dress transforming her into a BOMBSHELL if we’ve ever seen one! It pays to work at BHLDN when you’re a bride-to-be, that’s for sure! 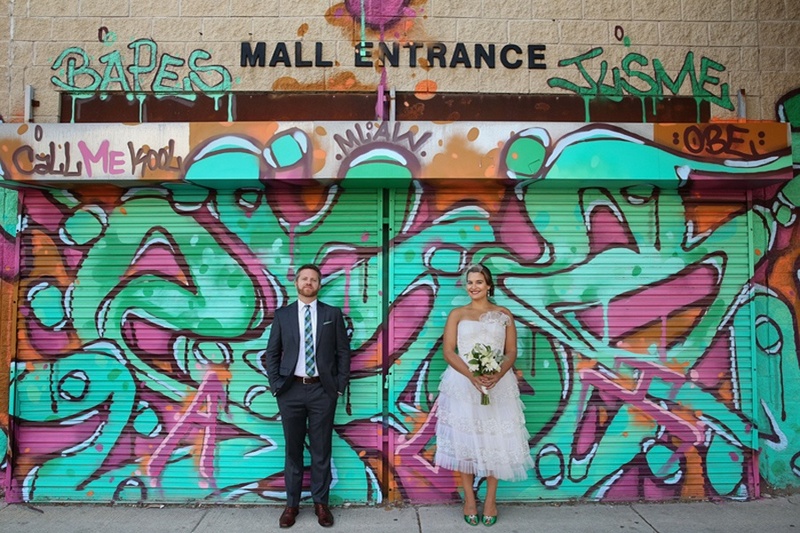 To say Erin + Kevin’s wedding at Kitchen Chicago was full of love, life, and laughter is an understatement. 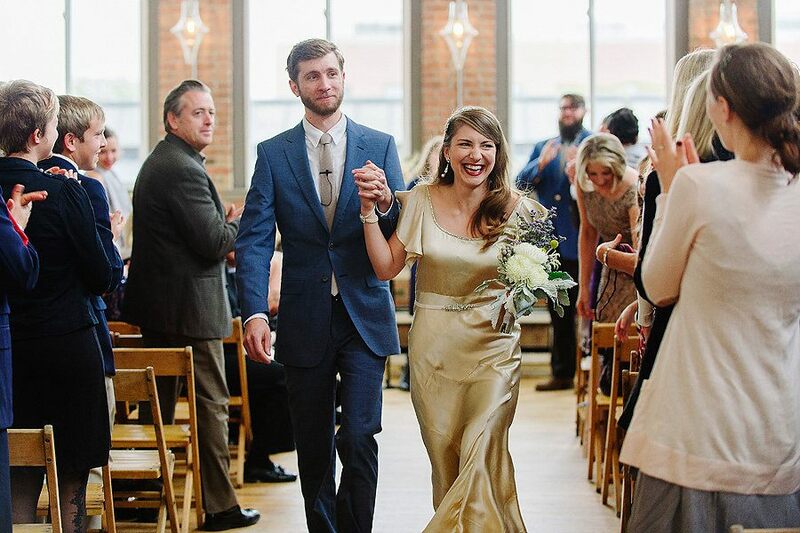 Just looking at this couple makes us smile. 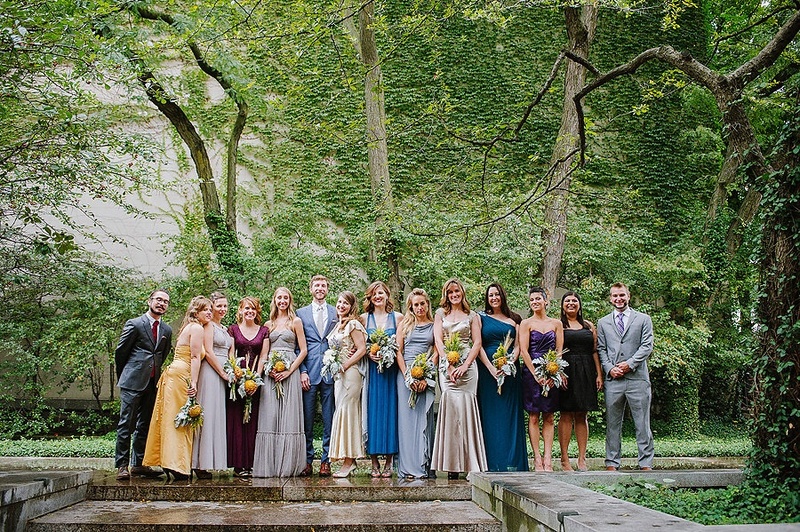 Thanks again for letting us be part of your wedding day, Erin + Kevin! Bakery: Hoosier Mama Pie Co.